If you need a simplistic and stylish organizational chart you can download this template and edit it, according to your needs. 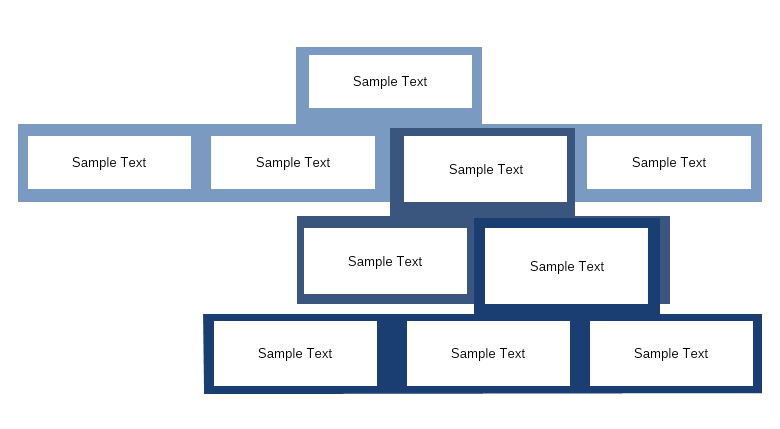 This organizational chart differs visually from most charts as it is not using connectors but rather a background grouping different boxes on a structural level. This simplistic organizational chart is most convenient when only a single line of connection is followed.